Hi all!! So, have you all had a chance to take a peek at the retiring list? I still haven't made it through the whole thing yet. It is quite the list!! 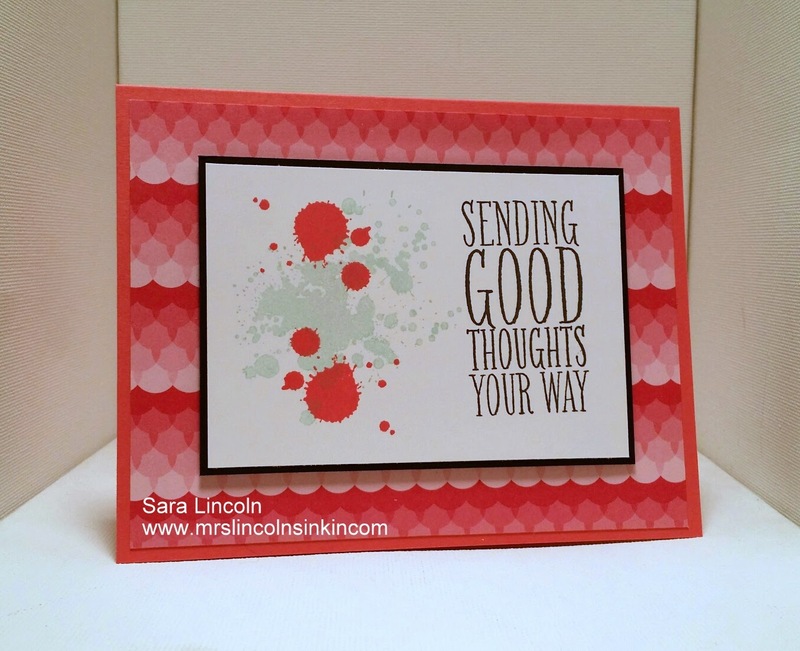 For today's share I am using a card using the Strawberry Slush card stock (an item that is on "the list", that is just what I am going to be calling it) and then topped with a piece of Sweet Taffy DSP (also on "the list"). My card card measures average size of 5 1/2" x 8 1/2" scored at 4 1/4" and then the Sweet Taffy is cut at 4" x 5 1/4". Don't forget to check out the updated Retiring List. It is updated each day so that you know if an item is sold out or not. I'll tell you right now, a lot of accessories are already sold out, so don't delay!! To allow everyone a chance to get some of your favorite items you can order your favorite items at up to 50% off. But, items will only be available until June 2nd and it's only while supplies last (on accessories), stamps will continue to be made until May 26th due to the high demand.